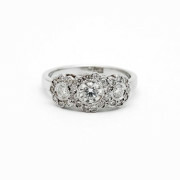 An 18ct white gold 3 cluster, grain set diamond ring. 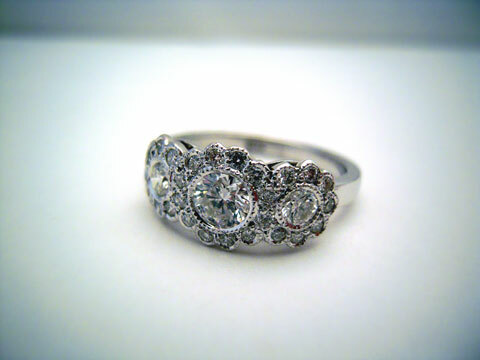 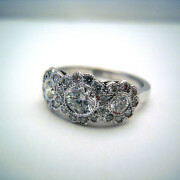 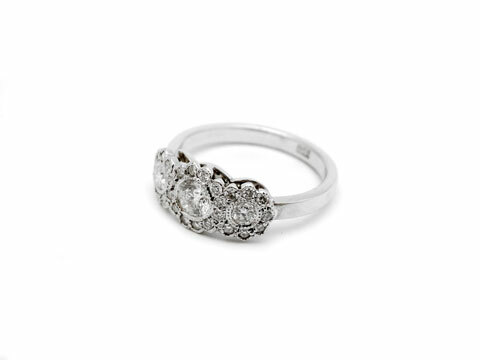 An 18ct white gold diamond cluster ring. 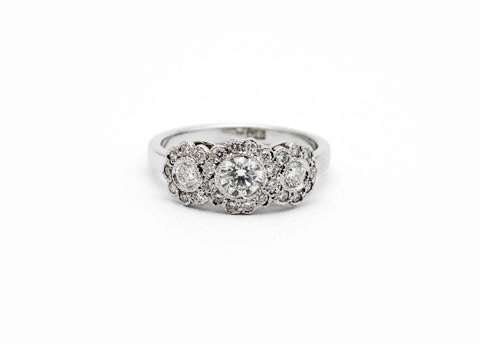 The rings design features three round brilliant cut large diamonds in a row, encircled by small round brilliant cut diamonds- forming three clusters. 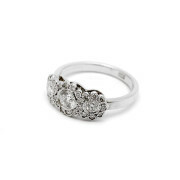 All stones are grain set, and total at a combined weight of 0.79ct.